In the first part of the conclusion, we discussed why the FCA’s review concluded not to loosen their cap on the payday loan industry. However, there was also another side to the story: should the FCA tighten the payday loan cap? Why don’t the FCA Tighten the Payday Loan Cap? When the details of the proposed cap were first released in April 2014, many activists were of the opinion that the cap was too loose. If the cap is meant to protect vulnerable consumers from the astronomical interest rates and charges, they reasoned, it should be set much tighter. Payday lenders are still allowed to charge exorbitant rates – not as high as previously. It is still far higher than mainstream credit products. Many felt that if the FCA are putting in caps, they should do it properly. They should provide a full protection to the consumers and tighten the payday loan cap. In this article, we’ll explore the main potential reasons for tightening the cap. Explain the reasoning behind the FCA’s decision not to change the current cap. Are borrowers suffering financially after taking out payday loans? 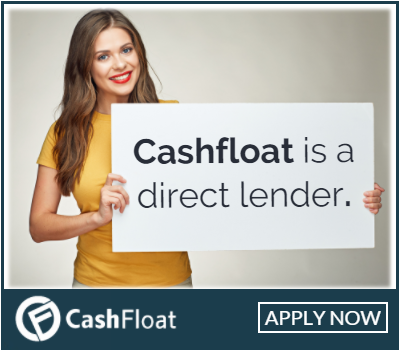 Are applicants who can’t really afford the loan still being approved? Should the scope be extended to cover other high-cost credit markets? Do HCSTC Borrowers Suffer Financially? In order to answer this question, the review looked at the financial situation of HCSTC borrowers in the 3-12 months following their loan. In comparison to people who did not take out a payday/short term loan, borrowers tend to be more at risk of missing a loan payment or another type of bad credit ‘event’, even with their credit history taken into account. This could be a warning signal, indicating that short term loans UK are having a negative impact on consumers’ finances. If this is so, it would make a strong case to support tightening the cap. However, comparing these statistics to data from before the cap lead the FCA to conclude that the risks have stayed roughly the same. While HCSTC borrowers do tend to experience a decline in their financial stability in the year after they take out their loan, this does not seem to have been affected by the cap. Therefore, the FCA is not of the opinion that tightening the cap would make a significant difference. Can Borrowers Afford their Loans? One of the outcomes of the cap that the FCA had hoped for was that payday lenders would redesign their business model to stop lending to high-risk consumers. The idea was that these people couldn’t afford the loan anyway, so they should not be approved for one. The stricter the regulations, the more people would be declined. We discussed this idea in great detail in Chapter 9. The question now is: should more people be getting declined? As we saw in Chapter 10, being declined was for the consumer’s benefit in the majority of cases. Furthermore, the people who did take out a payday loan are still more likely to suffer a financial decline afterwards. To tighten the payday loan cap would force lenders to narrow their eligibility criteria further. Consequently, more people would be declined for a loan. Is this a move the FCA should make? At the time of the cap, however, the FCA explained that the risk involved in taking out HCSTC products applies even to customers with decent credit scores. They, therefore, consider that to tighten the paydya loan cap would not eliminate this risk. Should the Scope be Extended? There was another concern with the current cap, regarding the scope of the regulations. If they only covered HCSTC, would declined applicants just move on to other high-cost credit products such as rent-to-own and doorstep lending? Or even worse, would payday lenders just ‘jiggle’ their products so that they no longer fall under the category of HCSTC, thereby avoiding the cap? If this was indeed the case, then extending the scope of the cap to cover more products would provide a greater level of security to vulnerable consumers. We looked into the matter of other HCSTC products in great detail in Chapter 11. There, we discussed how the FCA had not found a movement towards these products. Additionally, although there was some need for an investigation, simply extending the caps would not work as each market had different requirements. Concerning new products appearing, this did in fact occur. The FCA had not expected the rise of instalment loans, a product which is becoming increasingly popular today. However, as we explored in Chapter 8, this does not seem to be a serious change. Traditional instant payday loans are still on offer. And instalment loans allow consumers a more significant deal of flexibility, lowering the chances of them missing repayments over the course of the loan. After looking into these two points, the FCA has decided not to extend and tighten the payday loan cap. While other markets do still pose a significant danger to vulnerable consumers, the board will take a more in-depth look into each individual market. They will then decide how to regulate each one best. Jiggling the products was not widespread, and where it did happen (with instalment loans), it does not seem to have caused any harm to its consumers. The FCA also considered the ramifications that tightening the cap would have on HCSTC lenders. When setting the cap, they had predicted that a huge proportion of the market would shut down (see Chapter 6 for more details). While this did happen, the numbers of lenders in the HCSTC market now is still higher than the FCA had predicted. If the FCA would tighten the payday loan cap, it would cause a further reduction in lenders’ profits. This would make it even more difficult to stay afloat in the HCSTC market. It would result in more lenders closing their doors, in line with the FCA’s original predictions. However, the number of lenders is likely to shrink, as many lenders are currently operating at a loss and will soon close. This is particularly true of high street lenders, who have a higher fixed operating cost. Taking this into account, the FCA has decided that the large amount of operating lenders is currently not a cause to tighten the payday loan cap. In this final chapter of the series, we looked at why the FCA have decided that the cap was not set too high. We examined the concerns about risks for consumers as well as the limited scope of the cap and explained how the FCA reached their conclusion. At Cashfloat, we think that the cap has worked brilliantly. Consumers are now more protected than ever before and are far more aware of their rights. While we always promoted Treating Customers Fairly as an essential component of our business model, we’re happy that all UK citizens are now protected even if they choose to borrow elsewhere. 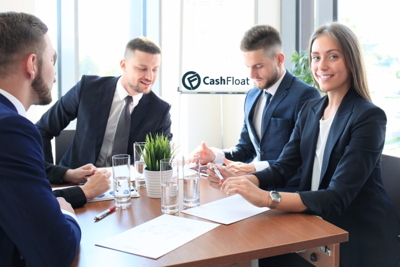 At Cashfloat, we truly care for our customers. Are Doorstep Lenders the New Bad Guys?